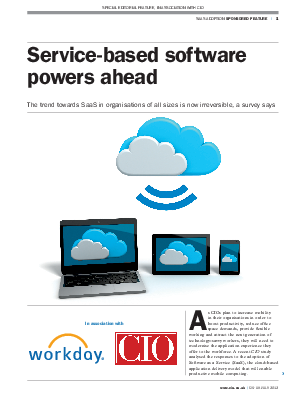 A CIO survey finds an irreversible trend toward the cloud in Europe. IT organisations today are experiencing a heightened demand to become a strategic and more nimble business partner while reducing costs. Is it any wonder a recent survey conducted by CIO found 78 percent of senior IT professionals were advocates of cloud applications? Read this report to understand why four out of five enterprises surveyed have already invested in cloud applications, or are planning to invest in the future.